The former head of the Australian Charities and Not-for-profit Commission has been elected as president of the nation’s peak-body for aid and international development non-governmental organisations. It was announced on Wednesday that Susan Pascoe AM, will serve a two-year term leading the Australian Council for International Development (ACFID)’s board which is comprised of leaders from across the peak-body’s membership. She told Pro Bono News it was an “honour” to be appointed as ACFID’s new president and her decision to accept the role was “as much a heart as a head thing”. “I’ve always been impressed with the work of the overseas aid organisations, and the focus that they take generally on global, they do some local initiatives aswell, but that commitment to assisting people who have not had the benefits that most Australians have had, to have access to better services, and ultimately have a better life,” Pascoe said. Pascoe paid tribute to her predecessor Sam Mostyn, who she said had been “a powerful advocate for Australia’s international aid and development and for Australia to play a leading role in fulfilling the Sustainable Development Goals”. She said as the new president of ACFID she was “feeling quite excited” about seeing the self-directed code operate up close. “As commissioner, I was very familiar with ACFID’s work as a global standard bearer for good practice in aid and development – a reputation built-up over 50 years as a peak-body,” Pascoe said. 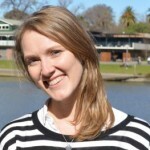 “As president, I am looking forward to becoming a champion for the ACFID Code of Conduct and foremost, working with every ACFID member to learn from their rich policy and practice experience in aid and international development. Pascoe said there were a number of issues facing the international aid and development sector. “There is always a need for an emergency response and a capability to have an emergency response, but in addition to that is the ongoing interest of the overseas aid and development organisations in trying to support the local communities to be more sustainable and to assist them, whether it is with capacity building or skills development or initial seed funding to get initiatives off the ground, but to support them to their own self empowerment. “So I think they’re recurring matters and the importance of the overseas aid organisations communicating the plight of others from time to time and in many ways being a voice for the dispossessed and those without a voice, I think that is also quite important. She said there would also always be a need for governance training. “With many of these issues, it is like when I was with the ACNC, I was always conscious that there will always be a need for governance training because there are always new board members, so that’s not a bad thing, that is just the reality and the circumstances,” she said. Pascoe said she thought ACFID had a role to play in discussions around advocacy that were coming to the fore. “I have just come back from an international meeting and it is fair to say this [advocacy] is an issue in the Commonwealth countries and I suspect in all countries, it’s just that the Commonwealth countries get together in relation to charities because they adopt essentially the same law, and so it is an issue that sometimes come to the fore in a country and then it recedes a bit,” she said. Her appointment, which was backed by ACFID’s members, was announced following the peak-body’s annual general meeting at the start of its annual conference in Melbourne. ACFID CEO Marc Purcell said Pascoe, who was appointed Member of the Order of Australia in 2007 for service to education, was one of “Australia’s most influential advocates for charities” and would bring a wealth of experience to the role. 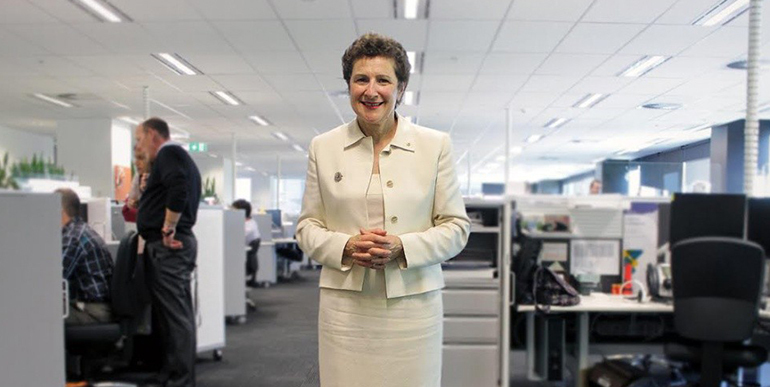 “Her exceptional leadership at the Australian Charities and Not-for-profits Commission (ACNC) was integral in building trust in the charitable sector,” Purcell said.